It is believed that the slippery elm tree has an interior bark that holds many medicinal powers. This bark is collected in the springtime and dried out for use. Slippery elm is sold in a powder form. Fine powder is available for dissolving into a drink, or a coarser powder is also available to mix up a poultice. The herb is used for many purposes today. It is taken as a diuretic and an emollient. Slippery elm coats the mucous membranes and absorbs toxins in the body that would otherwise cause intestinal and digestion problems. It is very soothing to the gastrointestinal area, and is therefore used to treat ulcers, diarrhoea, irritable bowel syndrome and heartburn. When you are experiencing intestinal discomfort the last thing you want to do is introduce a product into your body that might not agree with it. 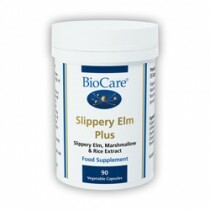 For this reason many consumers choose slippery elm, because these herbal supplements are based of a natural substance.